Here we are again with another Psoriasis post! It turns out that the last time I wrote a blog post about my Psoriasis was at least two years ago, which is crazy so I thought I would update this for you all! How has the time gone by so far already? 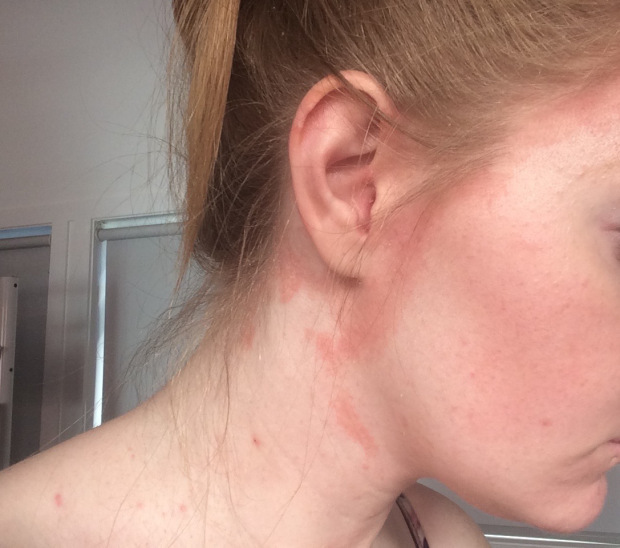 Photos from 2015 – Psoriasis flaring up behind the ears, neck, scalp and T-Zone. My Psoriasis is a lot milder than other peoples. Unfortunately, some people can get this all over their bodies, where it cracks, bleeds and is debilitating them from movement. I got psoriasis after a child in my class got ringworm and it was passed on to me (and most other teachers, some of whom also for psoriasis). It isn’t so bad though as I can keep it under control with head and shoulders. If I use anything else then my scalp itches so much I scratch it until it bleeds.